Catering services for the College are provided by St. George’s Pilgrim Guest House, adjacent to the Cathedral. 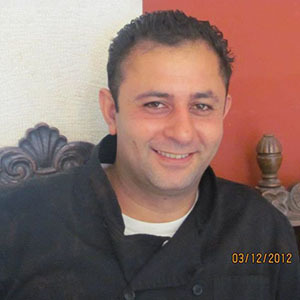 Chef Yousef leads a team of kitchen staff who offer healthy food that is both delicious and superbly presented. Our guests rave about his Arabic meals as well as Western fare.